The wideo speculates about future domestic uses of bio- and nanotechnology, inspired by a recent scientific breakthrough in the synthesis of functioning biological cells made from plastic. Halfway between products and organisms, seven “biological devices” produce all food and energy needed for humans to survive simply by being exposed to light (through artificial photosynthesis). They produce water, vitamins, fibre, sugar, fat, protein and minerals through biological processes. Johanna Schmeer (DE) is a designer and researcher based in London and Berlin. She holds a degree in Visual Communication from the University of the Arts Berlin, a Master’s degree in Design Interactions from the Royal College of Art, and has worked in design research and interaction design. 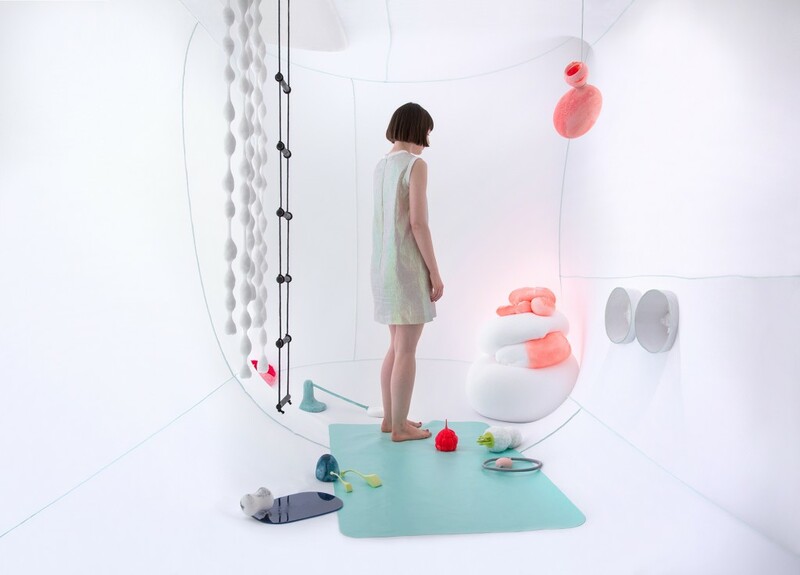 Her practice involves the creation of future narratives about the social, ethical, and cultural impact of new technologies on everyday life, described through designed objects and interactions. Another significant part of her work includes planning and running workshops and events, as an alternative or complementary way to engage an audience in future scenarios. She has exhibited and given talks at conferences, museums and academic institutions internationally.